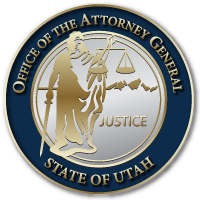 The Utah Attorney General’s Office works tirelessly to combat clergy abuse, and child abuse of any kind, through its Child Protection Division, the statewide network of Children’s Justice Centers, the Internet Crimes Against Children Task Force, robust investigations, prosecution and victim advocacy. We do this is partnership with Child Protective Services, local law enforcement, and other agencies. In the interest of protecting the innocent and bringing criminals to justice, we do not discuss ongoing investigations. If you or someone you know has been sexually abused by a clergy member, or anyone else, please report this to the 24/7 Child Abuse Hotline at 855-323-3237 or call your local sheriff or police department. You may also contact our office during business hours at 801-281-1200. This entry was posted in Recent Posts and tagged Abuse Hotline, Attorney General's Office, Child Abuse, Child Protection, Child Protective Services, CJC, Clergy Abuse, ICAC on March 28, 2019 .